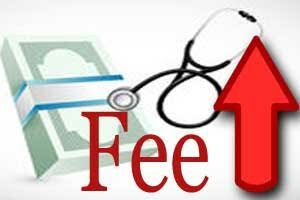 In a recent decision by the state officials in Maharashtra, the fees charged for diagnostic services in various government hospitals has been hiked. However, calling for the ambulance on 108 is still free. Charges have been upped only for 102 for ambulances. As reported by TOI, Treatment and diagnosis charges at state-run rural, district and super-speciality hospitals have been hiked by 30% to 100% for the first time in a decade. As per the new charges, basic services such as X-rays will cost Rs 50, up from Rs 20, while dialysis rates have doubled to Rs 300. Major surgery costs will now vary from Rs 2,000 to Rs 5,000 for those not under the Rajiv Gandhi Jeevandayee Arogya Yojana. In an exclusive discussion with DNA, the health minister Dr Deepak Sawant is implied to have said that this recent decision has been taken after 14 years. A price hike was last implemented in the year 2001, and the government has been working at the same price since then. Now, this development was required as the government had to implement changed in the public healthcare infrastructure, especially making provisions for maintenance of medical equipment. As further implied in the chat, the health minister has said that this particular move is not expected to put any additional burden on the people, more specifically because the people below poverty line (BPL) are already exempted from hospital fees. Also, the primary healthcare centres have been exempted from the hike, along with 13 more categories including, pregnant women, senior citizens and those affected from sickle cell anaemia. Also, it will still be lower than what the private sector charges. As further quoted by DNA, “We are working on improving facilities. Hospitals need to be upgraded with modern technology. With the help of NGOs and temple trusts, we have set up over 100 dialysis centres in 34 districts. We wish to set up dialysis centres in every taluka now and are also working towards making CT scan available at every district hospital.” said the health minister.